The Improv Everywhere gang has been on another mission. 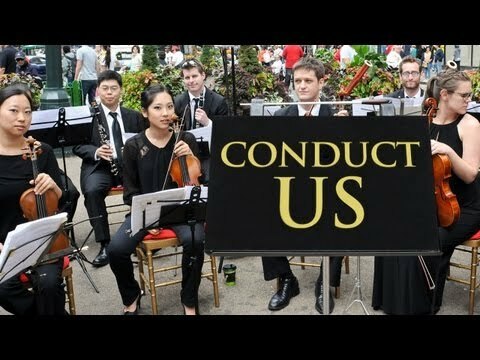 This time they’ve set up an orchestra outside Carnegie Hall and asked people to “Conduct Us”. The joy on people’s faces as they feel the power of the control of the baton and put the musicians into action is wonderful.